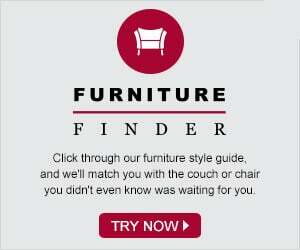 We are proud to offer the widest selection of customizable furniture in the United States. Our products fall within four main categories, including Living Room (stationary furniture); Reclining Furniture; Sleeper Sofas; and Bedroom. We offer all sizes of furniture, from chairs to sofas to corner sectionals, as well as unique morris chairs, rockers, and conversation sofas. Enjoy the collection below. Our selection of furniture spans several categories and even more styles and upholsteries. At Savvy Home, we are focused on providing our customers with the best selection of furniture possible, while allowing you to customize the furniture according to all your needs and wants. Our living room category is made up of stationary mainstays –your ‘basic’ sofas and loveseats, arm chairs, sectionals, and more. Almost a dozen top-name brands are represented in our stationary category. Recliners, notably our Stressless and Benchmaster models, are only a small portion of the reclining category. We offer reclining sofas, reclining loveseats, reclining sectionals, and more—all available in a huge array of 100% top-grain leathers and designer fabrics. When business began over 23 years ago, we specialized in sofa beds. Our Sleeper Sofa category has grown in the decades since, and we can now proudly state we offer more sofa beds than any competitor. The gamut of memory foam mattresses are showcased on the Bedroom section of our site. Perhaps the best value can be found in our Enso Mattresses, while the tried and true Tempur-Pedic line is featured alongside. Our collection is rounded out by rugs from multiple countries and brands, as well our brand new Home Theater Seating category. We’ll surely be adding more soon—so stay tuned!